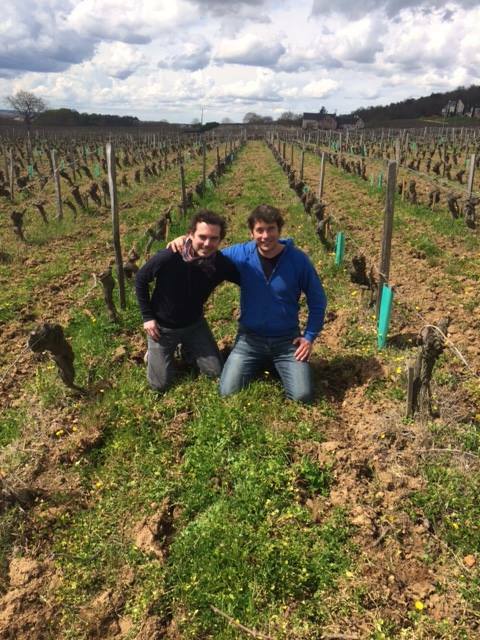 In 2013, longtime friends Nicolas Grosbois and Philippe Mesnier purchased 12 hectares of vines in Azay-le-Rideau, an excellent, though relatively unknown terroir a few kilometers east of Chinon. They immediately began farming all the vines organically, and set about on an ambitious project to reintroduce the wines of Azay-le-Rideau. Traditionally, Azay le Rideau is famous for white wines made from Chenin Blanc, and rosé wines made from Grolleau and Gamay. Most of the vineyards are located in Azay-le-Rideau on the lieu-dit "Hauts Baigneux". The domaine also owns a two hectare plot in Saché, close to the former studio of Alexander Calder, the famous American artist. This great flint-heavy terroir produces the two top cuvées of the domaine: Le Clos des Brancs and Blanc Chenin. 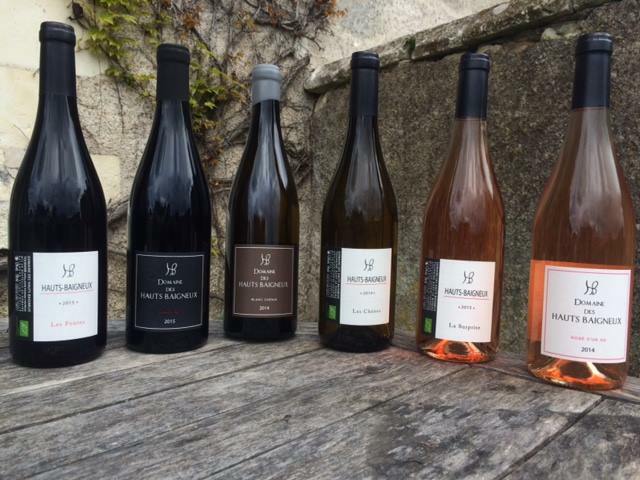 The wines of Domaine des Hauts Baigneux are all produced with natural yeast, and bottled with minimal intervention. The cuvées Les Chenes and Les Pentes are delicious vins de soif that showcase the best of Loire Valley. The sparkling wines are fantastic bottles of everyday bubbles, and the single vineyard Chenin Blancs are a testament to the towering quality of this terroir. Touraine Azay-le-Rideau Blanc "Les Chênes"
Average vine age: 25 years. Clay with limestone underneath. Direct press, natural yeast fermentation. Elevage in stainless steel tanks, then 3-4 year old used barrels. Production: 6,500 bottles a year. Average vine age: 30-60 years. Flinty clay with limestone underneath. Hand harvested. Direct press, natural yeast fermentation in demi-muids. Elevage for 18 months on the lees in concrete eggs, barrels and demi-muids. Production: 3,500 bottles a year. Average vine age: 25 years. clay with limestone underneath. Natural yeast fermentation in concrete tanks. Elevage in stainless steel tanks. Production of 12,000 bottles a year. 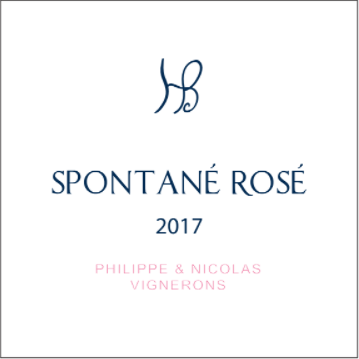 Following the frost in Spring of 2017 that greatly reduced the harvest at the domaine, Philippe and Nicolas decided to travel the regions of the Rhone and Southwest to discover beautiful parcels of organic grapes which they could use to make white and rosé natural sparkling wines. These unique blends under the Philippe & Nicolas label create a harmonious wine with fine bubbles, elegant lightness and fruit. Following the successful first production in 2017, they decided to continue sourcing the same grapes each year so that these sparkling pet-nat wines can be available year round every year. Clay-silty soil and clay-limestone. Methode ancestrale vinification. All organic grapes with natural fermentation, kept 6 months in bottle before release. Production of 26,000 bottles a year. Clay-silty soil and clay limestone. Methode ancestrale vinification. All organic grapes with natural fermentation, kept 6 months in bottle before release. Production of 14,000 bottles a year.